We are engaged in manufacturing, supplying, exporting and trading a wide range of Chain Conveyors, manufactured from top quality components, these devices are acclaimed for their outstanding construction and effective usage. 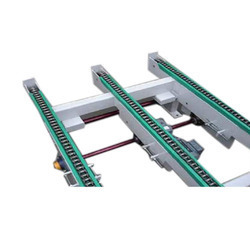 Leveraging on our vast industry experience, we are providing Chain Conveyors. 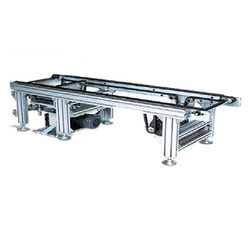 The chain conveyor offered by us is developed with contemporary techniques using finest quality of material in fulfillment with the set standard of market. We offer this chain conveyor in varied specifications and deliver within the given time. Offered chain conveyor is checked on several parameters of quality in order to supply a defect free range.